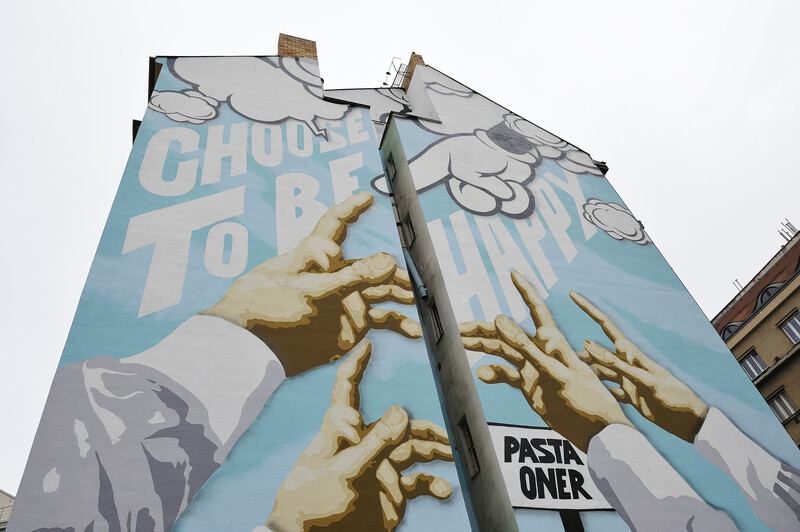 Prague isn’t just blessed with Gothic Spires, Renaissance sgraffitos, and holy Baroque stuff, but most of all it has an amazing amount of street art. No matter where you are in the city whether it be in the metro, at the park, or simply walking it’s many winding streets beautiful art can be seen. The Lennon wall has been washed away countless times but its charm continues to draw in John Lennon lovers. This wall is located on Velkopřevorské náměstí right off the Charles bridge. David Cerny’s giant baby sculptures are located in Kampa park. These brass babies can also be seen climbing the Zizkov TV tower about a hundred meters above Prague. Made by Spanish artist Escif, this half portrait is of the brilliant existential author Kafka. and it is located in Žižkov. Located at the Kampa museum, these 34 bright yellow penguins are made by The Cracking Art Group, six international artists who came together to change the art world and the environment by using only recycled plastic materials. This is one of the legal graffiti walls in Prague, and is constantly open for anybody to come and show their skills. Tram 14 will take you there, or you can hop off at the Florence metro stop. This mural dedicated to the Czech writer is located at Palmovka Metro station. You can take the B line from Můstek, hop off at Palmovka, take a right from the metro door, go up the escalators, and then make a left. The mural is right there.